I have been swamped with a new project, so not had much time to post or read for that matter on OTD. I do however want to take a quick moment and start a conversation about the upcoming Skipperera that is being offered by Christie's at the Geneva November 2018 auction. Many of you have read and also seen a photo of the watch on their website, and today, HODINKEE even posted a brief article about it as well. 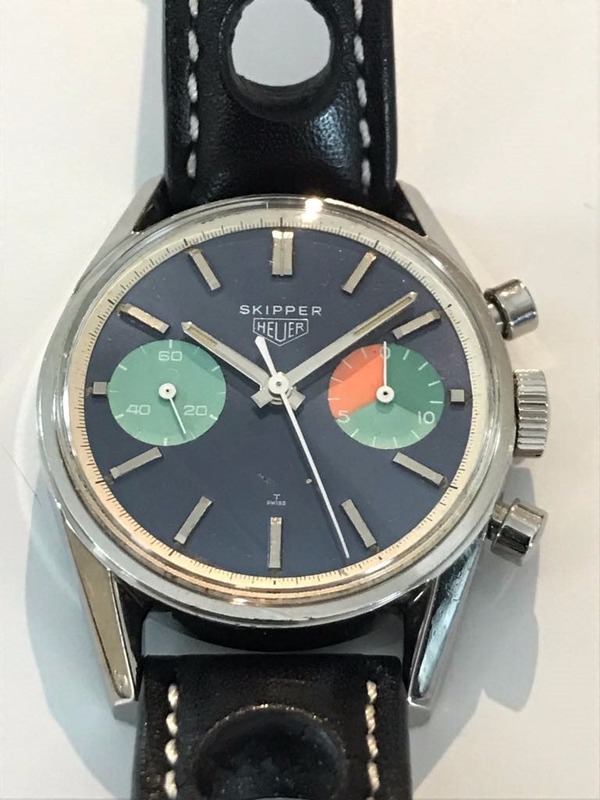 As many of you know, a Skipperera is one of those grail watches that I, and many others, have been wanting to add to their collection, but either the opportunity hasn't popped up or the price went for more than we were willing to pay at the time. So when I saw a Skipperera show up on the upcoming Christie's auction, I got very excited, as I'm sure many of you did as well. So of course, I asked to get a more detailed report as well as more photos of the watch, so I know exactly what I am dealing with......and this is where things went VERY south!! The photos and report I received didn't match the watch that was being shown on their website..... I got even more bothered by the fact that HODINKEE today wrote....."Be sure to watch what this piece realizes on Monday, as the stunning condition will surely make it a benchmark for all future sales. "......which is not true, since the true condition does not match what Christie's is truly selling. I don't blame Isaac on his reporting, since he doesn't have the time to ask for every detailed report for each watch he writes about, but I do blame Christie's for not being forthcoming with what they are selling in actuality. If you look at the one photo they have posted and compare it to the photo they sent me, it looks like two different watches!!! "The movement is ticking at the time of cataloguing, the 30 seconds counter is working. The watch has been professionally overhauled in the workshops of TAG Heuer in 2018, including full servicing of the movement, replacing of the register and chronograph hands and the crown. The dial was not touched during this intervention, it shows small scratches in places, a larger one above the T Swiss indication, the luminous material is original, discoloured and partially missing. Service central seconds hand. The case has been polished, with small surface scratches and dents in places. " The biggest thing that bothers me is the fact that the photo of the watch on the website shows an example that looks pristine and perfect, but in reality the dial and case is no way near the condition of what it looks like in person. 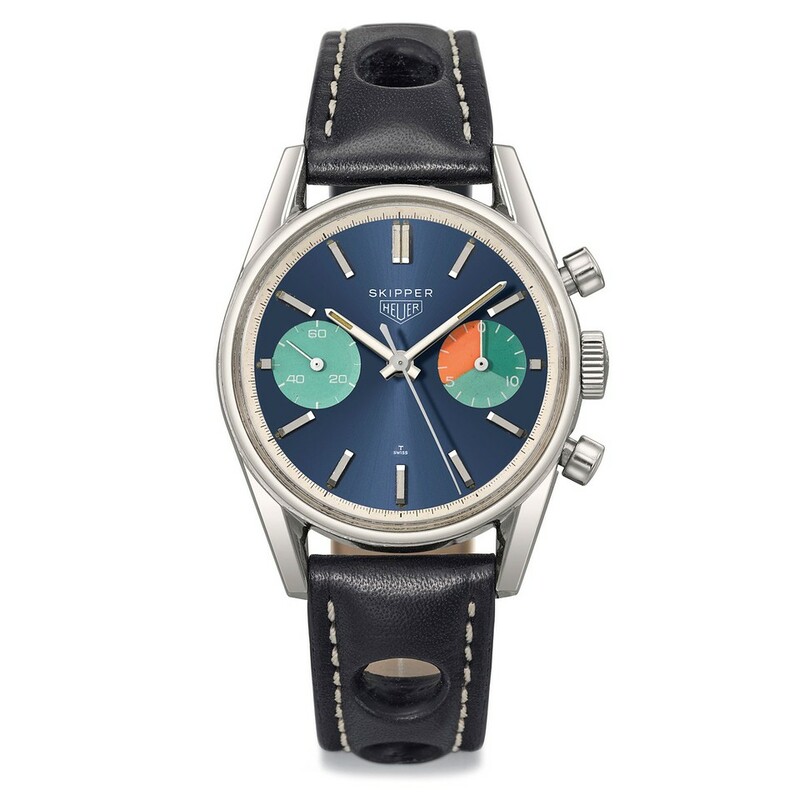 On a brief side note, I can admit that Heuer's have seen a "correction" of sorts in the market, but what some might not realize is that the vintage watch world is going through a phase of sorts. Simply put, a larger price gap is forming, where we see higher quality pieces being sold/traded for strong money vs your average/below average conditioned pieces showing weaker results. And what makes it more challenging is that the higher quality pieces rarely popup for sale in the open market, instead they are being sold/traded behind closed doors within collectors at strong values that many are not aware of. Hence why it is very difficult to say what true value's are when you don't have all the facts necessary to make such judgment. So to go back to the Skipperera's conversation, I am not expecting strong results due to the fact that the condition is not there to justify a strong price. This is not to say that it won't sell for "crazy" money since a buyer didn't do their due diligence and chose to bid on the watch based on the one simple picture Christie's posted on their website. BUT if we do see a poor performance, we can now say that we know why! All this said, I am still going to bid on it, and hopefully be able to pick it up for a "steal", but not willing to pay a premium for this condition....so let's see what happens! LOL!